We are now offering ads on RaceWire. 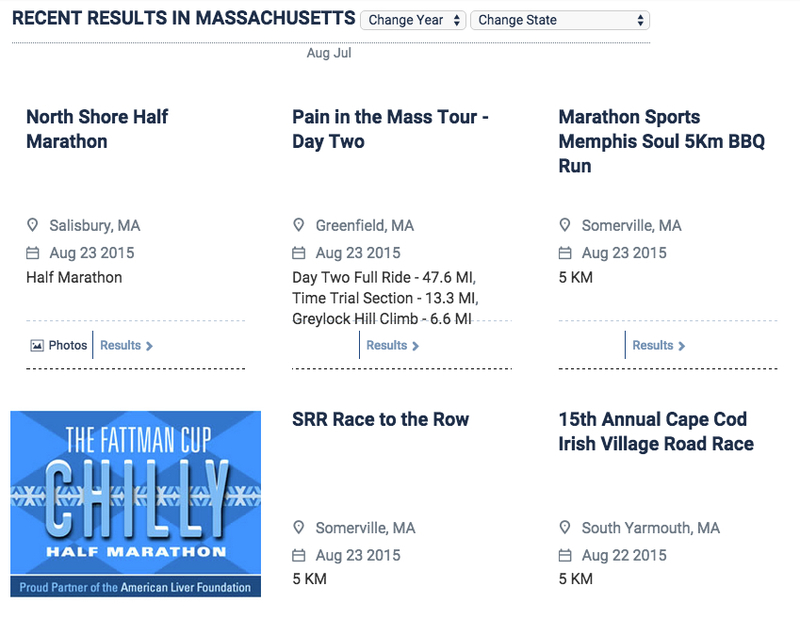 Tons of runners visit our site to check out their recent results and download event photos - get in front of them! If you're interested, you better hurry! We are only allowing ten advertisers per month... and some months are already filling up! We only have a minimum requirement of one month (so unlike that college boyfriend you didn't really want to move in with - there are no long term commitments here)! If you're already using us for online registration, we can take the cost directly out of your registration revenue. We can also invoice you for the cost - up to you! We are happy to work with you to help make your ad look professional (we will need a high quality version (vector/eps/png) of your logo and any background images you want to use). These banner ads appear on our results pages, so you're reaching runners who are on a post-race high, and are likely looking for their next event (unless they recently decided that they hate running, which, let's be honest - happens). The rectangle ads give you the most bang for your buck - the placement will give you tons of exposure! 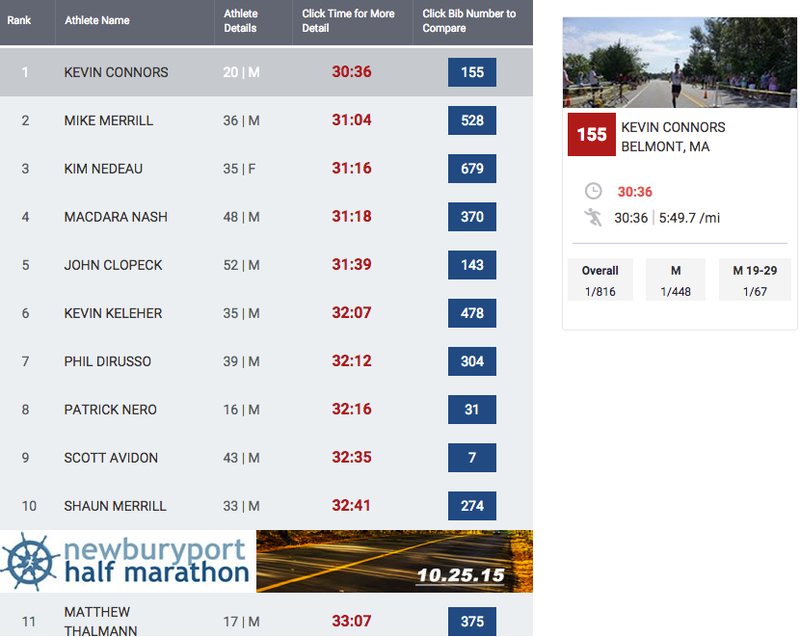 Square banner ads appear on our lists of upcoming races (perfect because these runners are actively looking for an event to sign up for) and on our lists of recent results. We have an active Facebook page that highlights upcoming and past events. 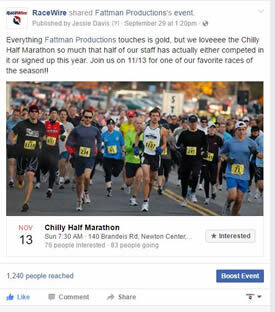 A Facebook post gives you the opportunity to use a bit more text to sell your event through a compelling cause, a gorgeous course or a fun post-race party! Post once or multiple times leading up to your event! 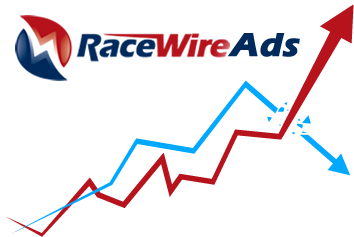 Drop us a line to get more information on Racewire Ads! Please submit the quick form below and we will be in touch with more information on RaceWire Ads!